With 4 automatic and 3 manual screen printing presses, Sharprint is able to screen print 40,000 custom t-shirts per day. Learn more about basic screen printing. Sharprint is one of the few decorating companies in the US that has the ability to print over an entire t-shirt. We can cover the sleeve, collar, back and front! 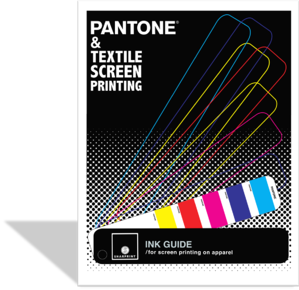 Learn more about all-over screen printing. We use three types of inks to give printed t-shirts a soft-hand feel - fashion soft, water-based and discharge. Learn more about soft-hand printing. We offer more than 30 specialty inks, techniques, and decorations to provide our customers with exactly what they are looking for. Learn more about specialty screen printing. Be sure to send Sharprint usable art files to avoid a re-drawing fee. All vector and some raster files are considered usable file formats for screen printing. Learn more about art for screen printing. Depending on a few variables, Sharprint uses 1 of 4 different art separation methods (spot color, spot color with half tone, 4 color process, or simulated process). Learn more about color separation.